In 2017, a new type of pill bottle was invented that could save $300 billion and 125,000 deaths a year. This is the estimated cost of people forgetting to take their medication. 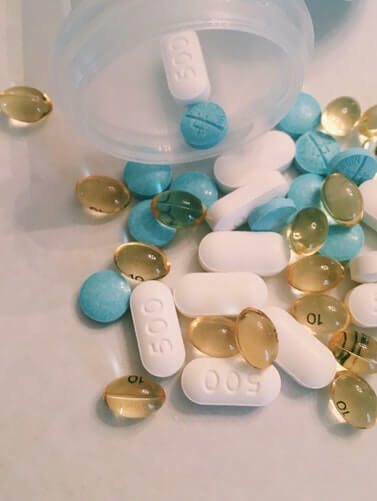 Remembering to take your daily prescription is difficult for anyone, but for people living with decreased memory function, it can be almost impossible. Not doing so can slow down the recovery process. Technology is now helping to send reminders to take the medication and to keep track of a patient’s dosage intake. This is set to save both lives and money, meaning a win for everyone involved. The addition of internet capabilities to everyday objects is known as ‘the internet of things’ and it could revolutionize the healthcare industry. For people with serious heart conditions or neurological concerns, medication is essential to their continued well-being and recovery after surgery or other medical procedure. It really is a matter of life or death for many to ensure that they remember to take their prescription pills. The human cost of missed prescriptions is estimated at 125,000 deaths a year. Then there is the cost to the economy. Pills are a cost-effective way to prevent serious conditions before they arise. If you forget to take one, then you may require additional and expensive medical support. This is estimated to cost $300 billion each year. What are smart pill bottles? Many use smartphone reminders to give a daily alert letting the user know that it is time to take a pill. However, this can happen when the person is out and can’t access their pills until later, by which time they may have forgotten. Smart pill bottles have internet capabilities built into them, so they can monitor when the lid is opened and whether a dose has been taken. This means that the bottle is always aware if a pill is due to the user and can continuously offer reminders. This is simple technology, but this is exactly why it is so effective. Anyone, regardless of tech knowledge, can use this and over millions of cases, it could make a substantial impact. Unfortunately, smart pill bottles aren’t yet widely available. However, if you are taking prescription medication and own a smartphone, there are other steps you can take. Apps, such as Patient Partner, are designed, not only to offer reminders but to offer education as well. Understanding why taking pills is so important can help you to remember. It is easy to forget to do something as simple as throwing a pill in your mouth; an action which has no immediate effect and so appears somewhat irrelevant on the surface level. These apps are free to install, easy to use, could make a huge difference in the life of someone who regularly needs to take medication. The invention of smart bottles could be a game changer in the coming months and years. By incorporating technology directly into the bottle, you can accurately track whether you’ve taken your daily medication. By ensuring you don’t miss a dosage, you will experience optimal recovery times and maximal prevention of a condition becoming more serious.